ELECTRIC BIKES - WAIT WHAT? 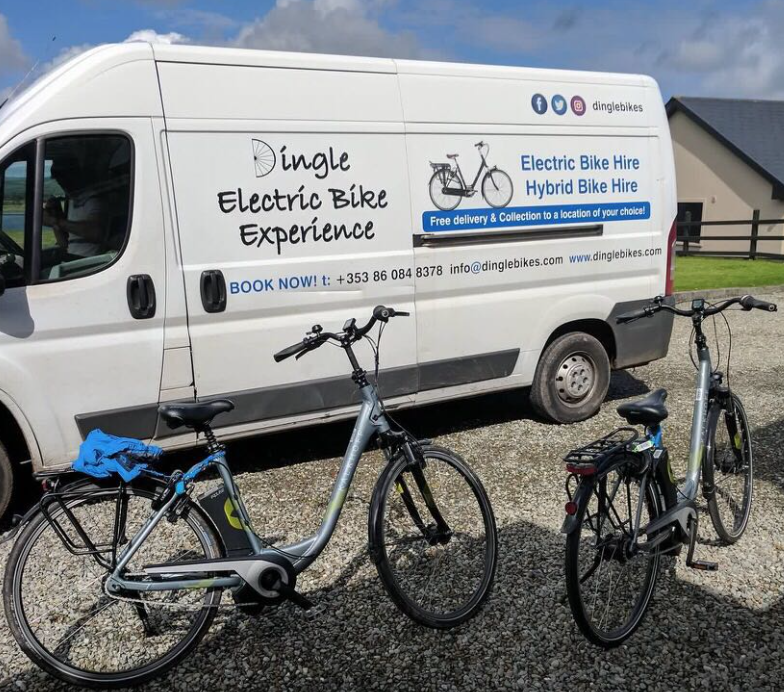 Dingle Electric Bike Experience offers a unique eco friendly adventure involving local food, heritage, culture and people. We offer Bike Hire (including delivery and collection) across a range of easy to use electric bikes & also high quality regular hybrid bicycles. We take great pride in our business and want to offer our customers the best possible service. We offer a FREE Delivery & Collection! We the Bikes to you which saves you time and effort. We drop the bikes right to your door! No need to worry about delivery and collection – enjoy your experience! The Best e-bikes in europe!